Here’s the thing, happiness = health and health = happiness for me! which I’m sure it does for many others. However living in a world of false advertising, over marketed super foods and nutritional research changing from ‘eat an apple a day it’s healthy’ to ‘but don’t eat too many apples because it will have negative effects’, it’s so confusing to keep up with what is healthy and what’s not, modern day life is complicated enough, that the last thing you want to worry about is ‘Am I eating a healthy snack right now or will it impact my health?’ …Phew! The same question goes for eating organic. Most people, if they had the choice and money was no issue, would choose an organic apple over a ‘non’ organic apple but are we just victims of cleaver marking? What I’m trying to say is, if I eat an organic carrot how much would this benefit me from eating a regular carrot; I mean, at least it’s not a Mars Bar, right? So what does organic really mean and does it really prevent health risks? Or is it just another way for businesses to make more money? Most shoppers see organic as chemical free and expensive, which in some ways is correct, however in a lot of ways wrong. ‘Organic’ actually means less pesticides used than regular produce. So, why is this not completely clear on the labels and packaging of organic produce? Is it educations fault or companies false advertising? I majored in Graphic design at university, and one of the biggest things I learnt was how to manipulate consumers into buying one product more that another. Learning what consumers want and giving it to them (or at least making them believe we are giving it to them). These marketing companies are not braking any laws or ploting against consumers, overall their organic produce does in fact use less chemicals, but the operative word is here “less” and they do have to follow associative standards. To be fair to the organic farmer, some chemicals they use are natural fertiliser soil, plants and use crop rotation or mulch to manage weeds. They also need to follow associative standards. 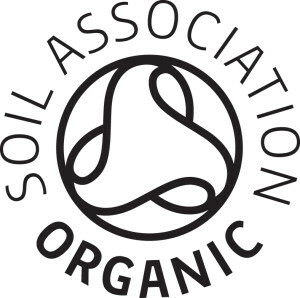 Soil Association regulates the standards that are implemented across the UK, Europe and Internationally. So is ‘Organic’ the healthier alternative? The quick answer is yes. The standards are inforced and no produce is allowed to carry the organic certification otherwise. Should the information be clearer and more readily avalible? Yes. Should the education sector be teaching nutritional terminology? Of course. I feel as a consumer and a nutritionist, I feel it is my responsibility to do my homework on what I buy and recommend my clients, also feeling that you can’t believe everything you read (especially food labels in in this case) is not ideal. But this is the world we live in, so I just make it part of my shopping experience and work experience. This is why as a nutritionist I want to make it my duty that I share my research with you so you don’t have to wade through tons of information yourself. Remember everything within moderation is the best course of action for well being and health!